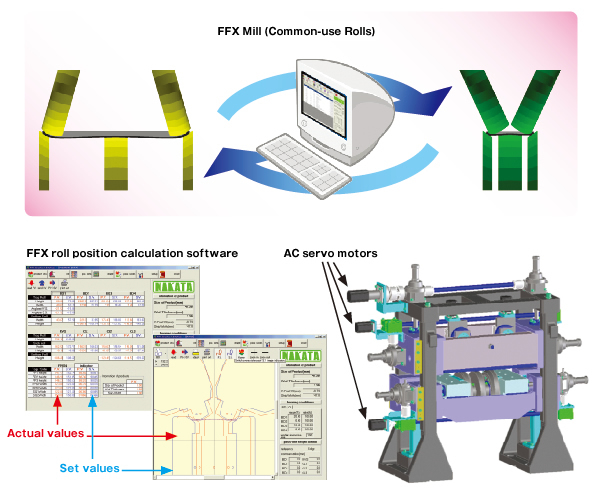 The combination of FEM technologies in forming analysis and structural analysis created mill for the next century, the FFX. 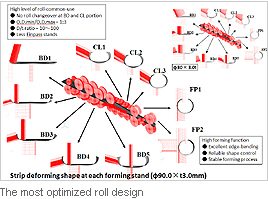 Long time dream for "complete common rolls for various pipe sizes" ・・・・The revolutionary FFX Mill is the answer. 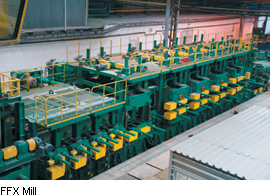 Our customers praise very highly on its production condition database and numerically controlled roll positioning. Relief from dependency on operators' skill levels by use of data based production conditions and optimized roll position.